Designing a home or office building isn’t just about the building itself. The whole area around it is important. This includes the lawn and garden. People want to live in homes and work at places with great-looking lawns. Taking care of real grass can cost a lot of money. Bad weather can also affect how it looks. 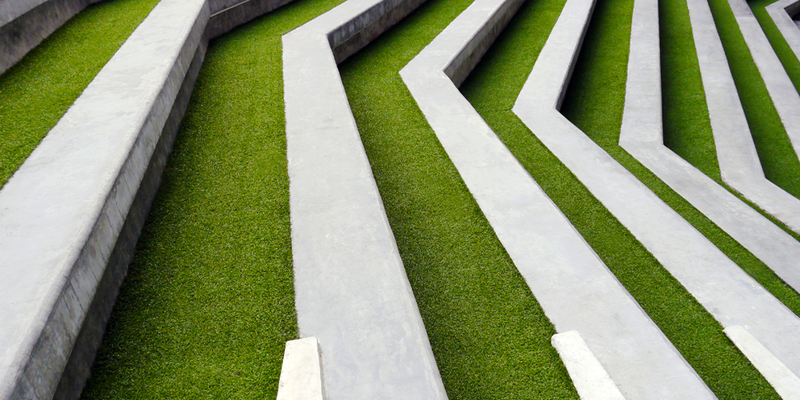 Artificial turf, on the other hand, helps architects design the perfect outdoor space. If the goal of the design is to make something that looks great all year long, artificial turf is much better than real grass. If a homeowner or business owner wants to save money, artificial turf provides a lawn that doesn’t need constant care. That’s why Watersavers Turf offers the best faux grass product for landscape design in the San Francisco Bay Area. The look of a building should always match the architect’s design. The problem is, not all parts of a property stand up over time. True, the material the building is built with may look the same over the course of a year. The same can’t be said for the lawn, though. A grass lawn will look different depending on the weather. Synthetic turf will always match the original plans. It won’t need regular landscaping work to look good. Synthetic turf is how architects can truly realize their visions. That’s why more designers across the world are starting to see its benefits. They can’t rely on real grass to add beauty to a property. Synthetic turf is always green, making it very useful. When an architect designs a home, the garden plays a large role in how the whole place will look and feel. Many are now using green concepts in their designs. These help to create a sense of sanctuary. One such property is located in Singapore’s District 11. Architects Maria Arango and Diego Molina of Ong & Ong created a home that tells little from the street. But on the other side of the granite panels is a whole other story. The design opens up to nature fusing with the plantings. The reflecting pool adds softness. The area is humid, and the design pulls air up to cool down the rooms. Glass sliders retract to open the living space to the lawn and lap pool. There is a blurring of the lines between indoor and outdoor spaces. This style of architecture is known as shakkei or “borrowed scenery.” It often involves outside views into the garden. The view is framed to capture the features in the distance. Faux grass is used on the terraces and open garden spaces. This allows the design to look the same all year long. In Mill Valley, CA, the city only allows 500 square feet of real grass for new buildings or major remodels. As a result, many landscapers are installing turf instead. This gives them a way to create large play areas in a garden. It also helps to save time and money. ­Grass needs to be watered and cared for all of the time. Turf does not. It helps to drive down costs by getting rid of the need for landscaping, too. Getting a grass lawn to look just as a person wants it to can be quite the task. Turf makes for a better choice as it comes in a variety of colors, lengths, and textures. The latest products even have brown blades in them to make them look like real grass. Everyone from architects to homeowners seems to agree that real grass can’t compete with turf. If you’re convinced and want to make the switch yourself, get in touch with the SF Bay Area’s experts. Watersavers Turf offers a complete line of products for your installation. We would be happy to answer any questions on how to transform your garden to save time and money. Find a location near you, or call 844-974-8873 for more info.